A photograph from The Fire Eater series will be exhibited at The Center for Fine Art Photography in Fort Collins, Colorado. 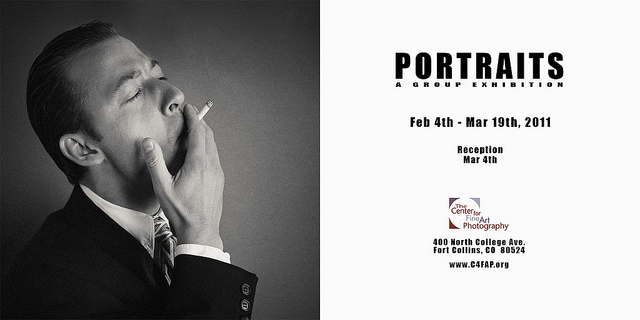 The exhibition Portraits will run February 4th through March 19th. The image was awarded an Honorable Mention. Update, (Thursday, February 17, 2011 at 12:28AM): I just discovered I was the Featured Artist in The Center for Fine Art Photography's Blog, Perspectives, on Valentines Day. Thanks, Friends!